A Palestinian teen shot in the chest by an Israeli rubber-coated steel bullet has been left handcuffed in intensive care. Israeli forces also shot a 9 year-old girl in a raid on the Shufat refugee camp. Abdullah Haroun al-Anati, 14, from the Shufat camp in occupied East Jerusalem, was shot by the IDF during a raid on Monday. Israeli forces accuse the teen of throwing stones at military vehicles, a charge his mother denies. “The bullet ripped through his left hand and his lung and has caused internal bleeding,” his mother Abir said. Abir was walking Abdullah and her daughters home from school and as they reached the camp, which is surrounded on three sides by a separation wall, there were clashes near the checkpoint. After losing sight of Abdullah as he walked ahead, moments later she was told that he had been shot. "Israeli soldiers at the checkpoint allowed the ambulance to pass after holding it for more than half an hour," she said, adding that soldiers followed the ambulance in a military vehicle, demanding the driver take him to Hadassah Medical Center in Jerusalem. Fatah spokesperson Thaer al-Fasfous reported the same account earlier Monday. 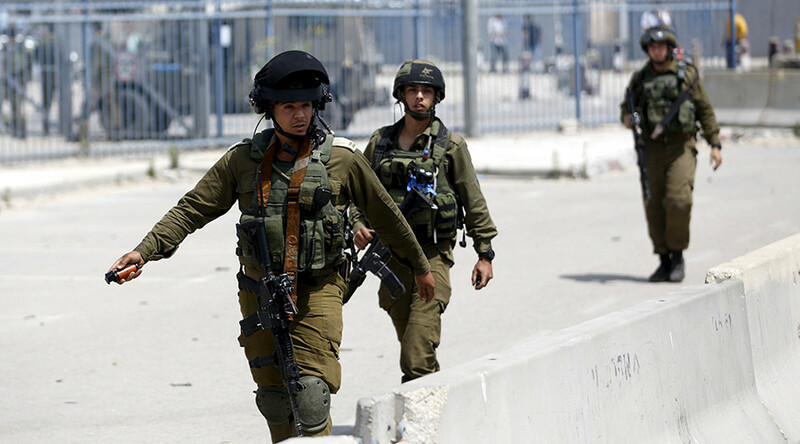 According to al-Fasfous, Israeli forces “haphazardly” fired rubber-coated bullets and “showered the camp” in tear gas. Al-Anati was questioned by an Israeli official in hospital for two hours, his mother said. "Soldiers are present in the room and they don't allow me to talk to my son or come close to him." A nine-year-old girl was also shot in the foot by a rubber-coated steel bullet at the Qalandia checkpoint between the West Bank and East Jerusalem on the same day. An Israeli military spokesperson said they opened fire because the girl was carrying a bag in a “suspicious manner.” She was treated at a medical center in Shufat camp.